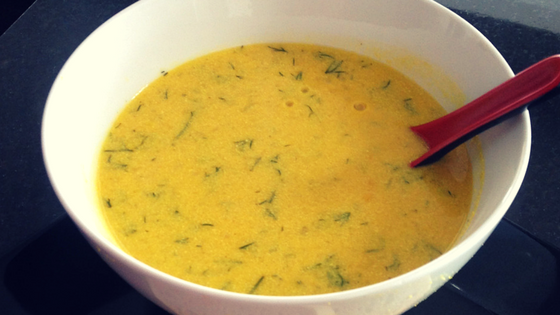 The easiest soup ever and absolutely so good for a cold winter day. Or, if you are feeling like you are coming down with a cold, or just under the weather, the bowl of sunshine will heal you from the inside out. The tofu adds some extra protein to fill you up, and it also thickens the soup without having to add flour. In a large soup pot, bring vegetable broth to a boil. Add cooked rice and reduce heat to medium-low. In a blender, add 2 cups of the hot broth, tofu, sea salt, and pepper to taste. Be careful with hot broth, it may spill over even with the top on, due to the heat, so cover top with a towel. Blend on low speed until smooth. Stir the blended mixture back into the soup; add lemon juice, dill, and stir until heated through.